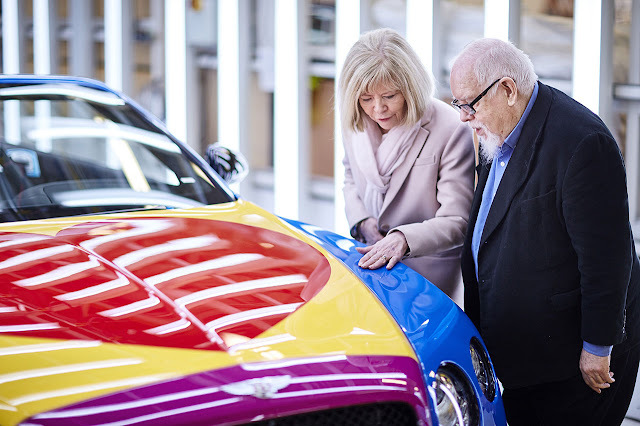 Bentley commissioned Sir Peter to deliver the world’s first pop art Bentley, drawing on inspiration from the acclaimed artist’s celebrated career at the forefront of the famous British pop art movement. Bentley has donated the car to the Care2Save Charitable Trust, which provides palliative and hospice care around the world. 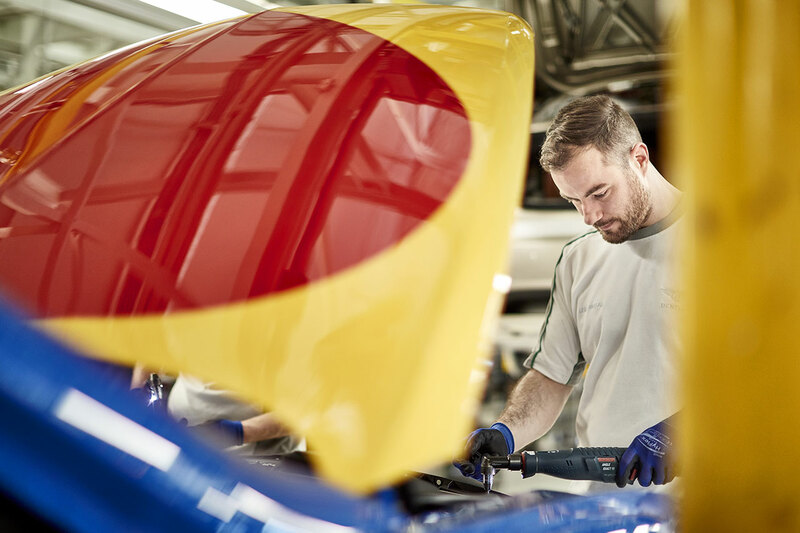 Possibly the most striking feature of Sir Peter’s bold vision - instantly recognisable as a Sir Peter trademark - is a St James Red heart motif hand painted onto a Continental Yellow bonnet, a symbol in-keeping with the compassionate work of hospices. Throughout the exterior of the car, the use of collage - another characteristic of his work - demonstrates bright but clearly defined colour. A St Luke’s Blue - a bespoke colour introduced by Sir Peter, named in homage to Bentley’s local St Luke’s Cheshire Hospice - dominates the cars iconic rear haunches, doors and boot lid, with a British Racing Green lower body, and a Fuchsia pink-coloured radiator shell. The bright paint colours compliment the black exterior brightware and a black hood, incorporating a darker sub-tone while allowing the bright exterior colours to flourish. The cabin is also an expression of individuality, with each seat trimmed in a different hide colour; Cumbrian Green, Imperial Blue, Newmarket Tan and Hotspur, reflecting more tonal shades of the exterior surfaces. The same colours are echoed on the sports steering wheel, featuring a Hotspur outer rim, Newmarket Tan inner rim and Cumbrian Green centre, with Imperial Blue stitching. 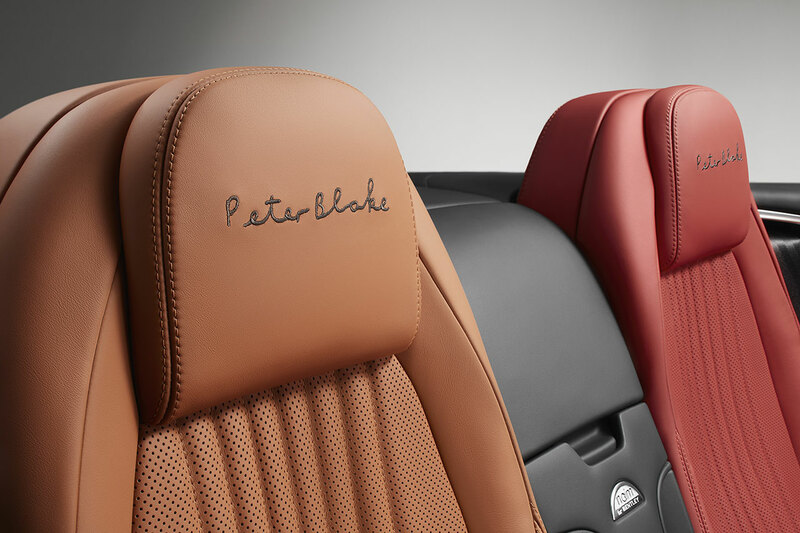 The vivid pink leather gear lever stands out against the centre console, dashboard and interior door panels, all veneered by Bentley’s craftspeople in Piano Black. 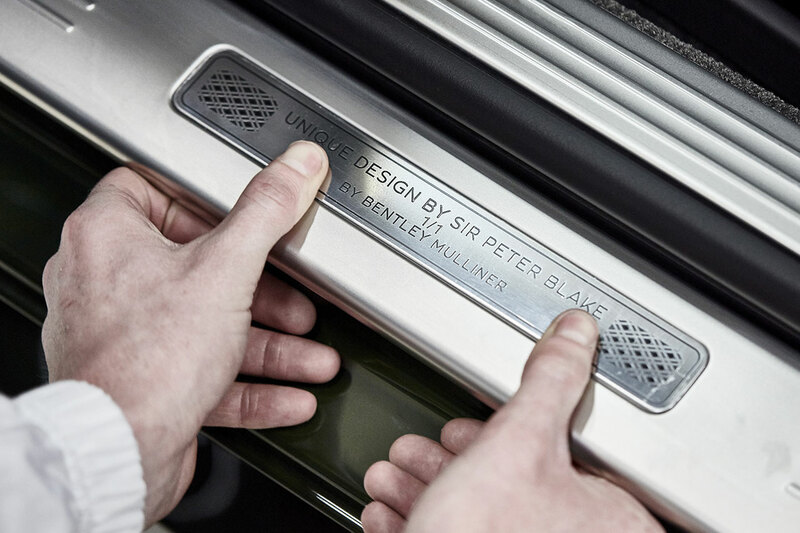 Sir Peter’s signature is incorporated onto the fascia panel and embroidered on all four seat headrests. To finish, unique storage cases feature a Piano Black veneer outer but with Continental Yellow and St James Red internal linings to reflect the bonnet colour theme. A distinctive treadplate, signifying that this is a Sir Peter Blake design, labelling ‘No. 1 of 1’ finishes the car. These unique features have been delivered through Bentley’s specialist bespoke division, Mulliner. 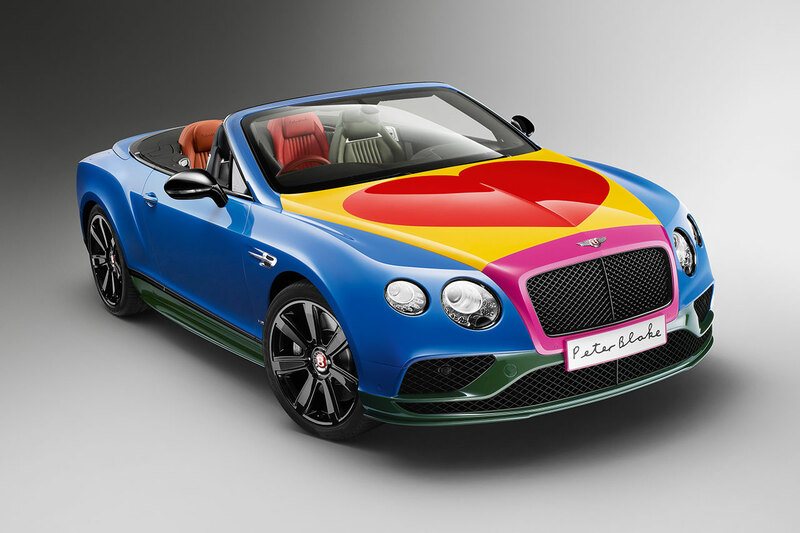 The Sir Peter Blake design, which also includes a personalised playlist from the artist’s favourite music, is the second Bentley Continental GT Bentley is donating to the Care2Save Charitable Trust. The Bentley By Me campaign launched earlier this year, allowing people the opportunity to donate any amount from £1 to help transform hospice and palliative care around the world, with the opportunity to win a Bentley. Using the money raised from the Bentley by Me and Bentley By Blake campaigns, The Care2Save Charitable Trust will work with organisations and charities in other countries to educate and empower them to build their own sustainable and affordable hospice and palliative care models. 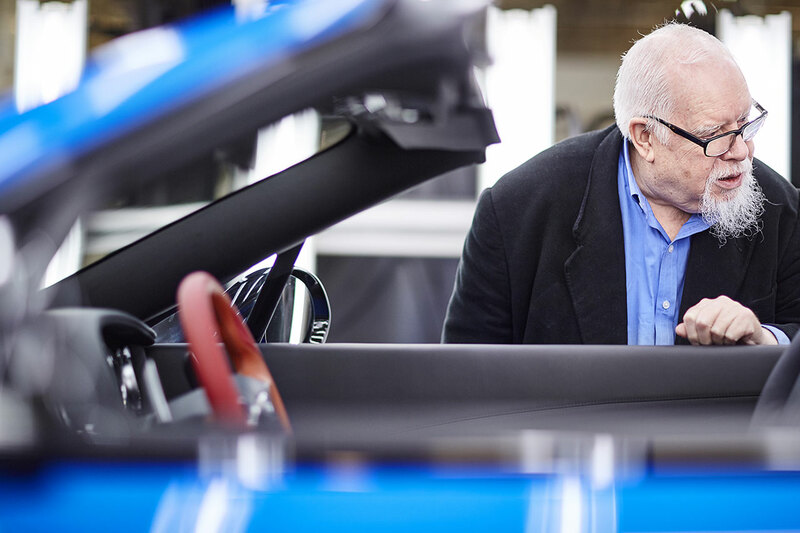 Malcolm Barber, Bonhams Co-Chairman, said: “This collaboration with luxury marque Bentley, world-renowned British artist, Sir Peter Blake, and Bonhams, auctioneers of fine art and motor cars, is the perfect partnership.